It appears the Park City School District is giving further thought to its hasty decision to add a deputy superintendent to take on a chunk of the superintendent's responsibilities. The Board of Education is right to take a step back and evaluate it. Hopefully, it will come to the proper conclusion: The idea is misguided. School officials abruptly announced last week they were creating the position to oversee a range of district operations currently shared between the superintendent and business administrator, including safety, master planning, transportation and food services. The reasoning, they said, is that it would free up the superintendent to work with principals and focus on improving the education in the classrooms. Framed that way, the concept has some merit. The problem, though — and it's a big one — is in the pocketbook. The announcement of the new job came just weeks after the Board of Education approved a large pay increase for the superintendent position to hire Jill Gildea, who is set to take over next month after serving in the same role in Greenwich, Connecticut. Gildea will receive a base salary of $235,000, which is $65,000 more than her predecessor, Ember Conley, earned. Benefits bring her total compensation package to a cool $348,000, and that's not counting the fact the district is also looking into purchasing or leasing a home for her to live in rent-free. The Board of Education justified the pay increase and perks as the cost of attracting a candidate of Gildea's caliber and ensuring she can live within the community. That's reasonable. 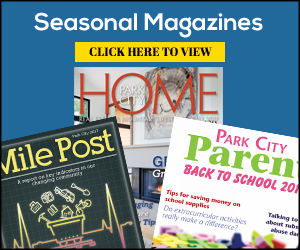 A few people moaned about the salary hike, but the Park City community has shown that it's willing to pay for top-notch education. The thought of then hiring another administrator to take on a portion of the superintendent's duties, though, is another matter. A job posting for the deputy superintendent position lists a salary range of $165,000 to $185,000, plus insurance and retirement benefits. Assuming the deputy superintendent's benefits package would be similar to the superintendent's, and factoring in the increased superintendent salary, the district would be looking at spending somewhere in the neighborhood of $340,000 more on top-level administration than it did last school year. If that seems problematic, that's because it is. Perhaps at least some school officials understand that. The district originally sought to close the application window for the deputy superintendent job by Aug. 6, a particularly quick turnaround given the concept had not been broadly publicized until last week. On Monday, however, a spokesperson indicated the Board of Education has decided to leave the job listing open until the end of August to give officials more time to discuss the responsibilities of the position, how it would be funded and whether it's fiscally sustainable. Maybe that will be enough time to explain why the position is necessary and gain buy-in from the community. More likely, though, taxpayers will see hiring a deputy superintendent as something that should remain only an idea — because at this point, it does not appear to be a particularly good one.